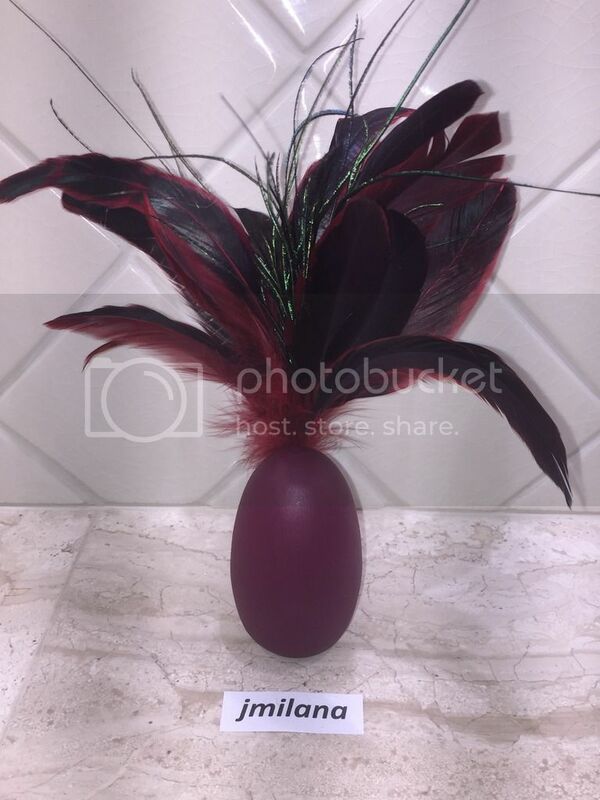 The egg is a wooden egg covered in maroon paint. The "flames" of the phoenix are made of a mixture of black, red, and green feathers glued in a hole that was drilled in the back of the egg. Hope you like it! Last edited by jmilana on November 1st, 2018, 6:14:34 pm, edited 1 time in total. I love this contest. It is great getting to see peoples 3D versions of eggs. Good Luck! I took a little artistic liberty by adding red and green feathers in with the black, but I think it looks cool, so...Hopefully the judges think so too.